In a valley surrounded by thick mist, where vampires and werewolves lurk in the shadows, lies the village of Barovia. The villagers are sullen, soulless, and full of despair, for this town suffers under a curse brought upon by treachery and betrayal. The Ravenloft campaign focuses on finding the three artifacts foretold by Madam Eva. These artifacts are your only hope in the battle against Count Strahd von Zarovich, and may be the only chance to break the curse cast over the lands of Barovia and the poor souls who find themselves trapped within the mist. Beware the witches, twig blights, and Night Terror, that may strike at any moment within the woods and fields which surround the corrupted village. The Ravenloft campaign is a linear journey through the land of Barovia with features that will be familiar from the Jungles of Chult campaign. Repeatable Tasks – Like the Jungles of Chult campaign, players will be free to choose when to complete their tasks for the week. The Weekly Haul should be familiar to players who have previously faced the dinosaurs, and the three artifact tasks increase the Weekly Haul limit by 25 each. Boons – This time boons are a single task on the campaign. The task can be repeated 4 times with the first three points going towards the initial six boon choices and the fourth point granting a choice of four final boons. Rewards – Many of the tasks of the Ravenloft campaign will reward a random Taroka High Card. 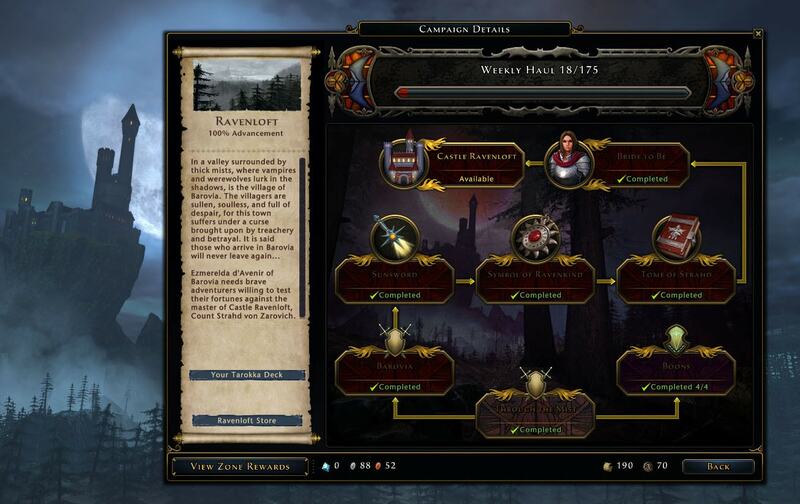 The Ravenloft campaign store contains artifacts, random gear packs, and Phosphorescent Moss which is used in restoring the new Sun artifact weapons. 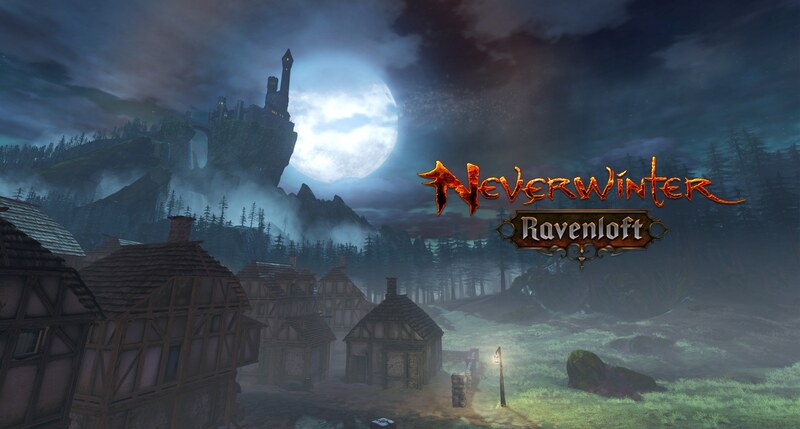 If you manage to survive Barovia and find the three artifacts needed to face Strahd, you will gain access to Castle Ravenloft, the new dungeon that is sure to test your resolve and courage when you face Strahd’s Sisters, an animated statue known as the Arcolith, and finally Count Strahd himself in a deadly cat and mouse battle.